Shilpa Garg writes about her storytelling session on her blog. 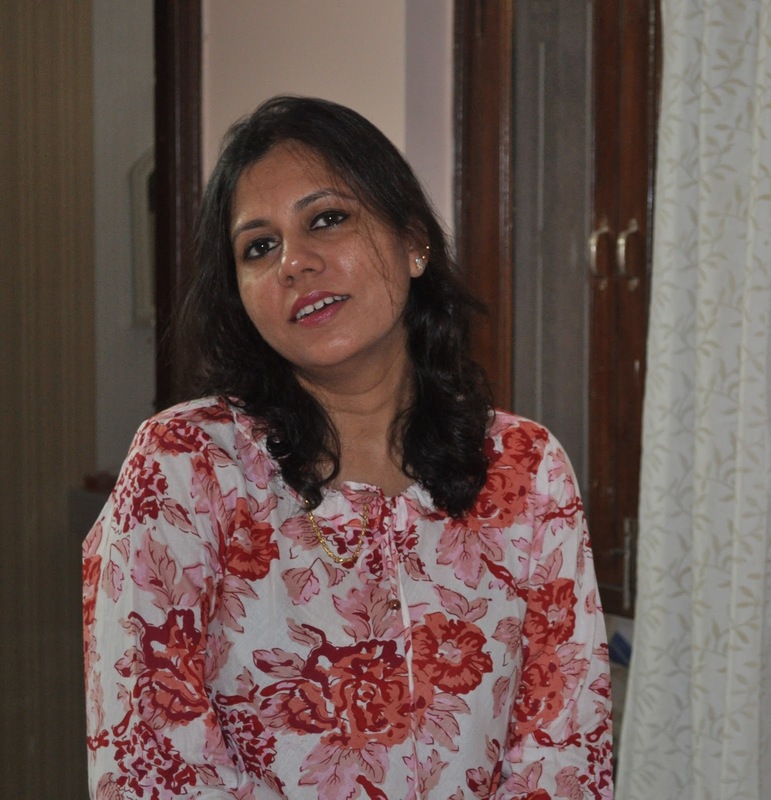 A former pharmaceutical professional-turned-soft-skills facilitator for corporates, Shilpa Garg blogs at A rose is a rose is a rose! 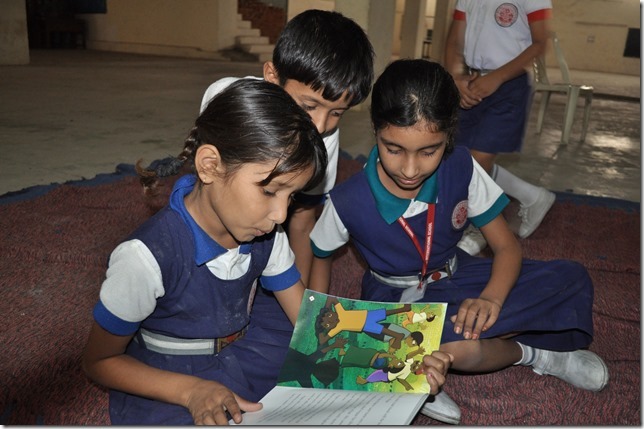 ’ dream, to see “A book in every child’s hand”, resonates with me. When I read about Pratham Books’ Champions program where volunteers are encouraged to conduct reading sessions, I knew I had to be a part of this initiative. 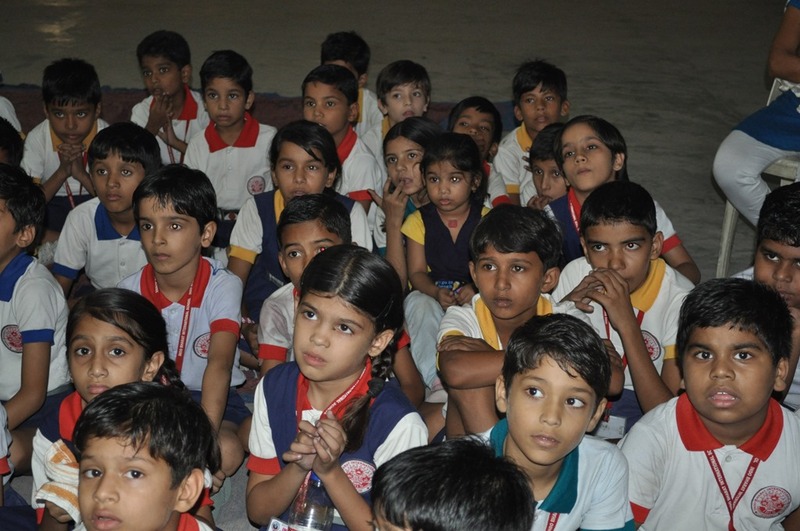 The idea was to take 1 book, 1 story to as many children possible on a single day throughout the country. 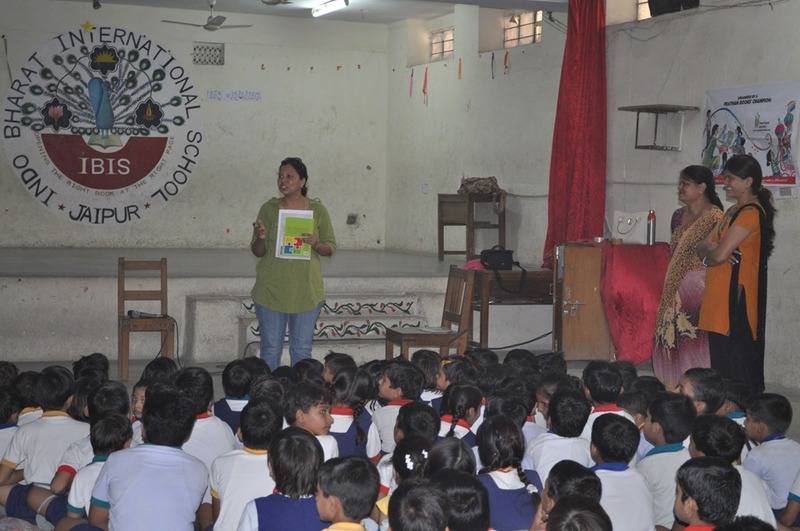 For this initiative, more than 600+ Champions registered to conduct 1000+ storytelling sessions to celebrate International Literacy Day. I registered for this program and soon I received mails sharing the guidelines and suggestions along with ebooks, and a courier containing the books and a banner. I met the Principal of Indo Bharat International School, which is located near my home. I shared the program’s concept and design with her and she readily agreed. 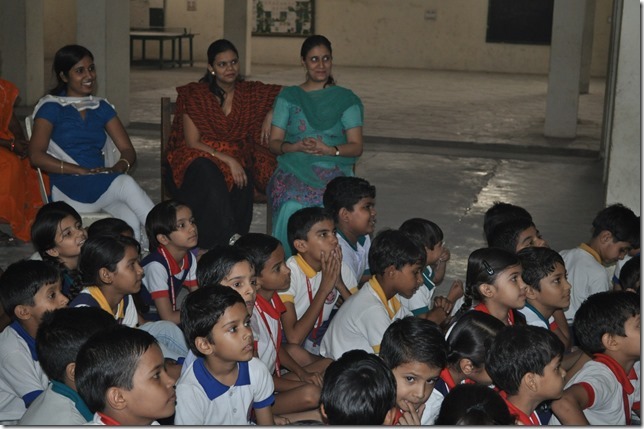 With a spring in my step, I reached the school to share the story of Paplu, the Giant, with the kids. 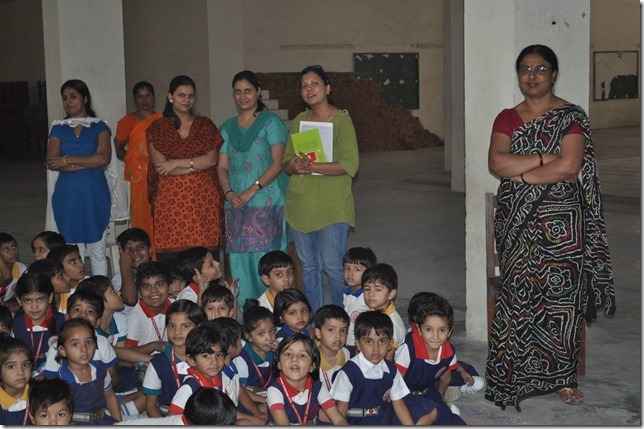 I was greeted by equally excited some 60 children from class Nursery to Class III. I narrated the story of ‘Paplu, the Giant’ (written by Ramendra Kumar and illustrated by Zainab Tambawalla), in Hindi. It is a delightful story about a little giant who did not like to fight with anyone! The children listened to the story with rapt attention and were a perfect audience. I loved the way they responded in a chorus and in a sing song manner to every question of mine. Their enthusiastic ‘Good Morning Ma’am’ made my day. To see, if they were following the story, I asked them questions and they had all the answers. There is a magic verse in the story, “Main tumhe uchalu, main tumhe pakar loon, bhoolna na tum mera jadoo” (I’ll throw you up, I’ll catch you quick. Don’t forget my magic trick). I made the kids repeat this verse and they simply loved saying it aloud. 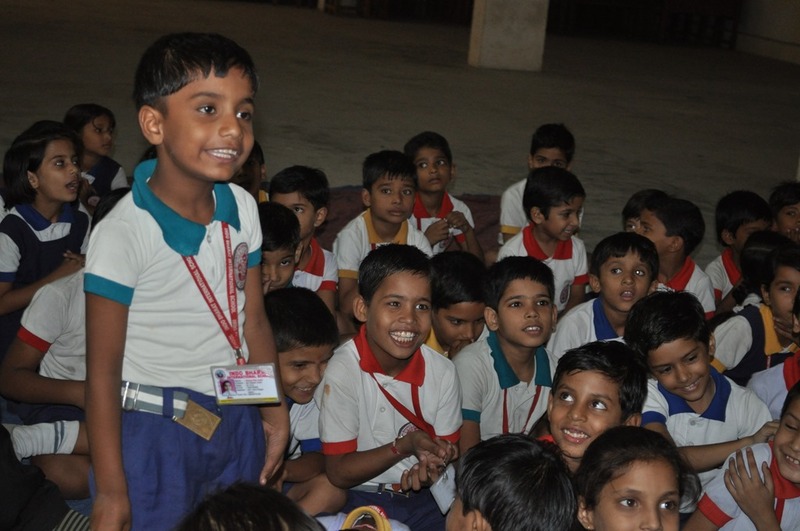 This little one raised his hand and said, “I would like to repeat the magic words on my own”. His recitation received a big applause from all the students and the teachers. Showing them Paplu’s new dress. 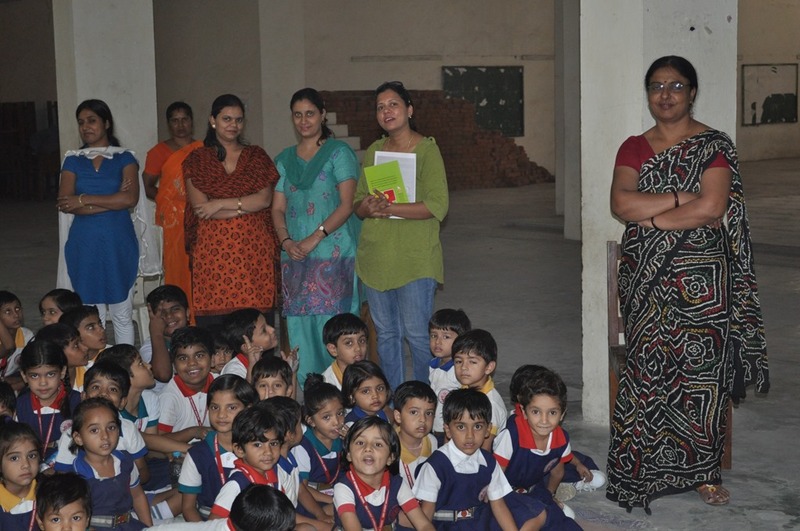 With the teachers at the end of the session. 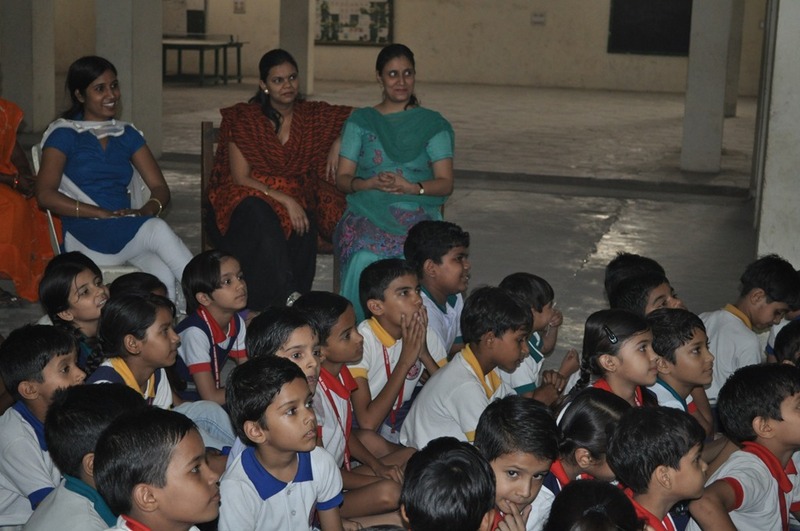 This story telling session is a step towards sharing the joy of reading. 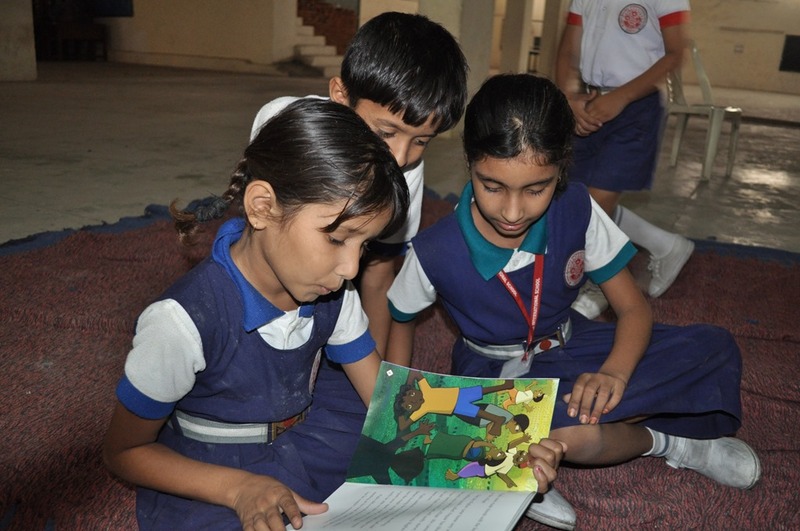 Story sharing is a key activity and a crucial component of a child’s development into a mature reader. 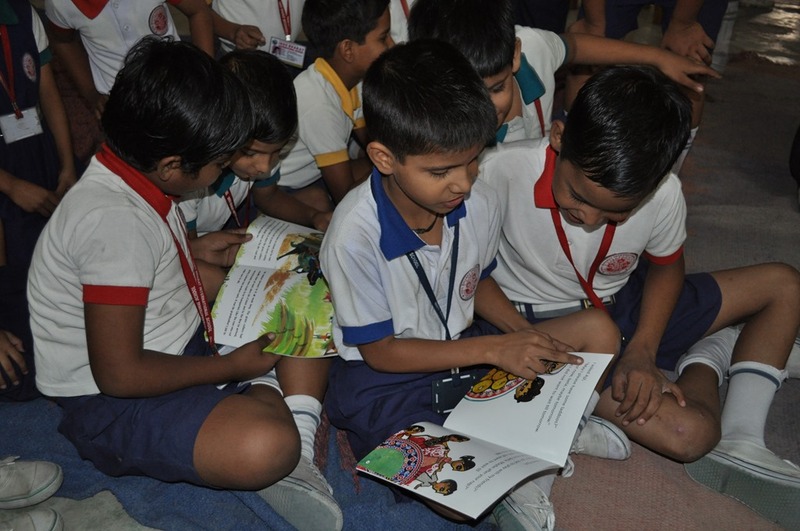 We should strive to encourage children to read because they ‘want’ to, not because they ‘have’ to, thus creating the beginning of a life-long love of books. And as parents and teachers we have a big role in helping them fall in love with the world of books. 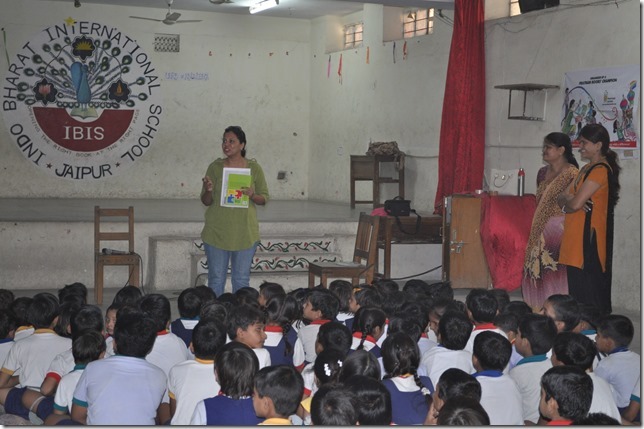 Thank you Pratham Books, I am glad to be a part of this journey of spreading the joy of reading! 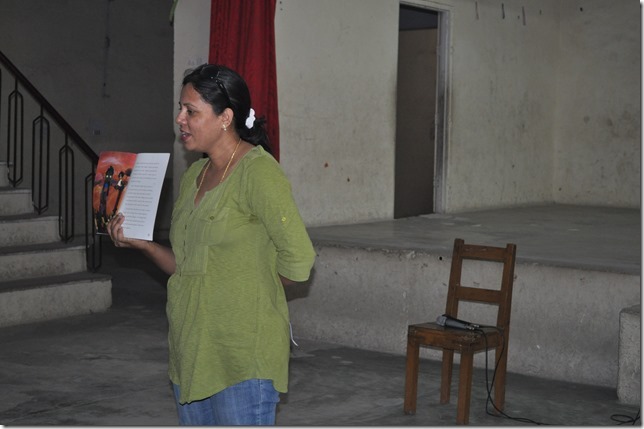 Thank you Shilpa for spreading the joy of reading!